The Doctors: Why Do You Burp When Drinking Soda? The Doctors answered a question from a young fan, Zoey, age 6. She wanted to know why she burps whenever she drinks soda. Dr. Jim Sears explained that burping happens when gas forms in the stomach, and soda contains gas and carbon dioxide that form bubbles. As soon as you ingest these bubbles, they don’t want to stay down, so they come right back up again in the form of a burp. Linda, 56, said that she has a problem with food going down “the wrong pipe.” How can this be prevented? Dr. Travis Stork suggested changing your eating habits by slowing down and chewing carefully. This is actually a pretty dangerous issue, because if food blocks your airway, you can begin to choke. For more information, ask your doctor about a swallowing evaluation. The Doctors discussed the warning signs of gum disease and why we burp when drinking soda. Stephanie is 29 and said that her skin is only clear when she’s pregnant. So how can she avoid acne when she isn’t pregnant? Dr Lisa said that 41% of women experience better skin during pregnancy, and this is all because of hormonal changes. She suggested looking into birth control pills, because many times acne is cause by hormonal imbalances. Kyle, 18, has been experiencing pain from a tattoo he received in back in July. Could there be something wrong? Definitely, according to Dr. Andrew Ordon. It could be an allergic response, or an inflammation of scar tissue. No matter what the issue may be, Dr. Ordon told Kyle that he needs to see his doctor. Next up was another question for Dr. Ashley Hebert. Mike, 47, has noticed that one of his teeth is a little bit loose. Dr. Ashley said that all healthy teeth will have some slight movement, but if it is very loose, it’s important to see a dentist. 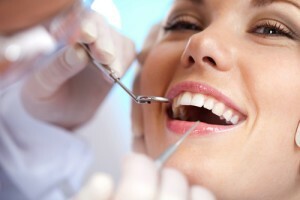 It could be one of the signs of gum disease, or periodontal disease, which is caused by plaque build up.